My initial idea was to make a pop music video with another male artist who was a freelancer but had some experience in the field.He would sing and also do break dance and parkour in my music video. However, we encountered some difficulties as the artist wasn`t able to manage his time so we can meet the deadline and I was already behind because of his schedule, I decided to discontinue the collaboration.This decision pressured me to find another artist in a very short time therefore my artist ended up being me as I couldn’t count on anyone else . 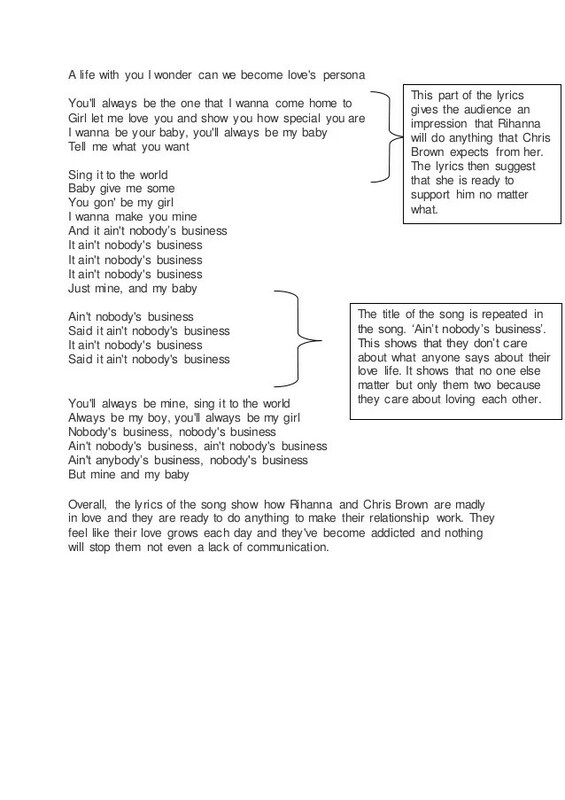 In the end, I decided to do ‘Nobody`s bussines’ song because the tempo is upbeat which is what everyone likes. 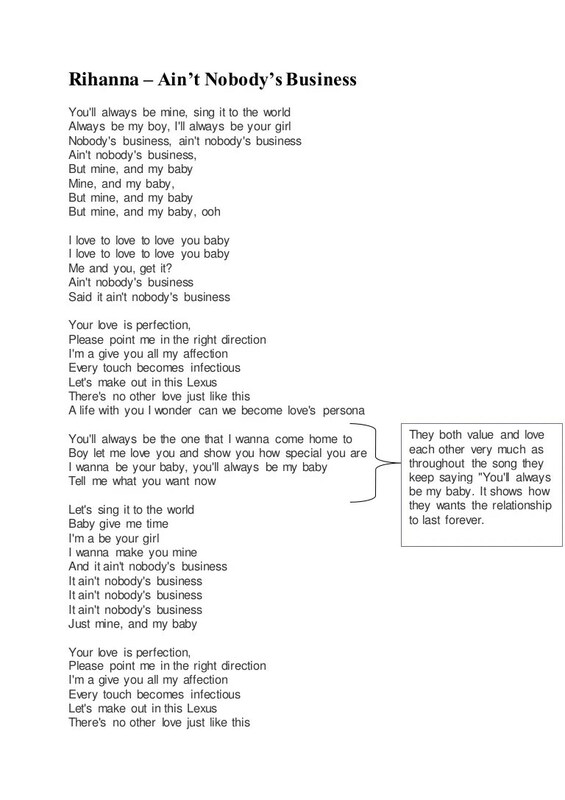 The song lasts about three minutes and 56 seconds I am planning to cut the end bit off of to make it shorter and it would be easier for me to complete the whole video on time. Moreover, it would be easier for me to do this song because we already have some ideas in our minds that we might include for my project.